You know those movies where people make one or two bad decisions, and things spiral irretrievably out of control? The Corpse of Anna Fritz is just such a movie. See, there’s this really popular young actress, and she dies at a party. Later, a morgue attendant lets his truly douchetastic friends know that her body has arrived at his hospital, and they of course want to see her. Once they do, well, mistakes are made, and then that spiralling out of control thing happens. It’s difficult to say anything else, because spoilers for the journey really removes any need for this movie to exist, and everything vague I can think of to add is either too clever by half or unintentionally offensive to myself, and therefore probably others. Possibly both at once. I will say, although this has probably already been covered in paragraph two despite my vagueness toward the end, that if you don’t like things that are disturbing, this is not for you. This entry was posted in Film and tagged horror, Shudder, Spanish, thriller on February 11, 2019 by Chris. 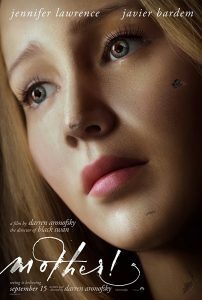 I want to talk about the fact that the last three movies I’ve seen theatrically have touched on the action genre and had female leads, but I’m not certain Red Sparrow is the movie best suited as a capstone to that rare achievement. 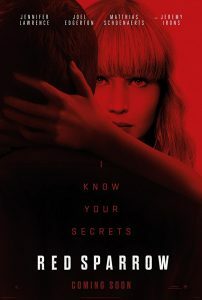 Because Jennifer Lawrence’s dancer turned honeypot spy is explicitly free of any kind of agency. I mean, that is what the film is about, start to finish. Please don’t take that as spoilers; it’s theme. (It’s not even revealed theme, it has been hammered home before the end of the first act.) Within that framework is a taut spy thriller full of head fakes and direction changes that could as easily be set in 1988 as 2018, save only some pieces of technology that indicate one direction over another. 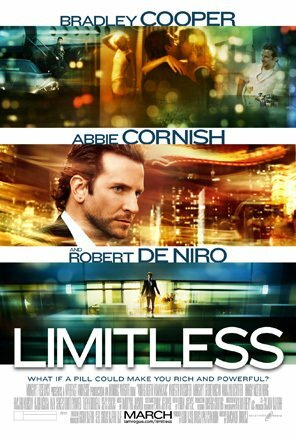 So if you like that kind of movie, it’s a fine example of the genre, and I enjoyed the roller coaster; plus it’s nice that it doesn’t feel too modern, considering Russian spycraft and its effect on modernity. If you don’t like this kind of movie, it does not rise above its type. But that’s okay! It fills a niche I hadn’t visited in quite a while, and fills it well. Also: if you want to pretend that the character’s name is Natasha Romanov, I do not believe that hurts the film one whit, so go to town. But it is guaranteed that Marvel could never have made this movie. without going out of my way to make it happen, is a key aspect of why that matters. A thing that impressed me is, they took an entire other take on the psychological thriller genre and compressed it down into ten minutes when it would easily have supported an entire move all on its own. This is a dense one! This entry was posted in Film and tagged Alamo Drafthouse, thriller on March 22, 2018 by Chris. A thing I’ve learned from movie-watching is to not go on vacation in Europe. I mean, remember Hostel? Or the second Hostel? A Cure for Wellness, to be fair, is not about idiot backpacking teens with Eurorail passes. In fact, what it reminded me of for the first half hour or so was Dracula. (The book, I mean.) There’s this guy, probably not named Jonathan Harker, who is sent by his investment firm into the Swiss Alps to retrieve the company CEO from a health spa thingy, except it’s in a castle at the top of a mountain overlooking a subtly wrong village, and, okay, once he gets there the comparison mostly falls apart; after all, instead of an empty husk of a castle with a gothic warlord in a red dinner gown and the most elaborate updo of, I’m prepared to say, all time, it really is a health spa thingy. Or maybe a sanitarium? Or maybe a hospital? It’s fair to say that basically everyone there is getting treatments, no matter whether the issue is a nervous breakdown or a broken femur or just a couple weeks of downtime in a spa. Also included: history lessons, vitamins, catacombs, a nubile ingenue, and eels. There is a plot, and it’s not a bad plot. It is not, I would posit, two and a half hours worth of plot? But that’s okay! The movie is not here for plot. It’s here for atmosphere, and it’s been a good long time since I’ve seen a horror movie with this much atmosphere. So, yeah. Check it out. This entry was posted in Film and tagged horror, thriller on February 20, 2017 by Chris. I don’t remember thinking John Wick was going to be amazing. It was just an action movie that looked pretty cool, y’know? But then I saw it, and the purity of motive and clarity of purpose have stuck with me ever since. So, when they told there was going to be a sequel? Damn right I’m gonna see it! Which I have, and apparently on opening weekend to judge by the crowds. So, okay, cool. This means they will make back their budget and do chapter 3, which is fine, because I want to see that too. Still, that’s not what I’m here to talk about, so let’s get to it. The thing about Chapter 2 is… all actions have consequences. Since this is a movie about the consequences of the original, of course the purity has dried up. See, there’s this guy who helped Wick get out of the game, before the events of the first movie. And now that he’s apparently back in, said guy decides to call in the favor. The thing about an organized criminal underworld, with its declared neutral spaces and its own economy and its codified rules about favors owed, is you know whatever the favor is? It’s not going to be pure. It’s going to be complicated and messy, and that mess is going to get on you. Which I like to think is why Wick retired in the first place. He finally found a chance for thing to be clean and orderly, and he took it. Not anymore, is my point. This is not to say I didn’t like it. 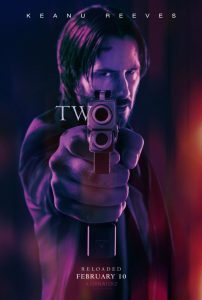 It was stylized and hilarious in the same ways the first one was, and I care enough about what happens to John Wick to look very much forward to another sequel. (And I have some good ideas about how that sequel will go, let me tell you.) I just cannot say that I liked it as well as the first one; that, I would recommend to anyone who is okay with the genre. 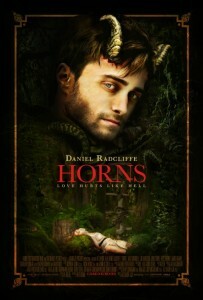 This, I would recommend to people who really liked the first one, but would not bother to talk about it otherwise. Y’know? Only, seeing it in a full theater made me realize that mostly people do not think these movies are as funny as they are. I wonder which of us is wrong. This entry was posted in Film and tagged action, thriller on February 12, 2017 by Chris. Often, I am loath to say that you should go into a movie not knowing anything, especially if it is a genre film. 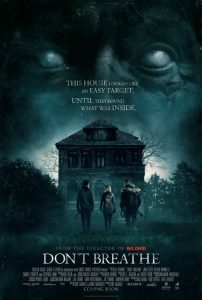 Once you warn people not to know anything, it’s a short jump to “there must be a big twist!” and an even shorter jump to “oh, I know what the twist is, sigh.” Luckily, the nature of the one line synopsis of Don’t Breathe and its particular horror genre conspire to make it possible for me to get away with ignoring my own advice. So, in one two lines: a girl, her thuggish boyfriend, and the nice guy who wants to take her away from all this have formed an intimate crime ring, committing small-time burglaries in and around a Detroit that has not yet gotten the memo that Detroit is being rebuilt. They think they’ve found one last big score, enough to actually take [them] away from all this, in the form of a blind veteran sitting on top of a huge lawsuit settlement; except, this being a horror movie, it is inevitable that something will go wrong. There, that gets you through the first ten minutes and into the meat of the story. It’s impossible not to think of It Follows, and equally impossible not to wonder if Michigan is trying to make itself a horror film production mecca or instead is really frustrated that nobody is taking their attempts to rebuild Detroit seriously, and they keep taking advantage of what urban decay remains, instead. Plus, thinking about things like that acts a pressure valve, because remember the ratcheting tension I mentioned in the footnote? 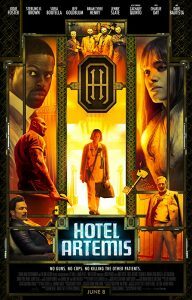 This is one hell of a movie, and you might find yourself in need of occasional relief. There is a feminist angle to the movie that I wish I could talk about without it being a massive spoiler, but it is, and I can’t. I mean, unless someone were to ask me about it in person or in the comments here, because those are fair game for spoilers. I quibble with the advertising here, though. 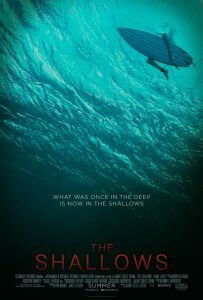 This is definitely a thriller type movie way more than horror. Horror movies are a) usually supernatural in nature or at the minimum obsessed with a high body count and b) regularly break tension with jokes or misleads. Thrillers, contrariwise, are allowed to ratchet the tension tighter and tighter with no obligation towards a release before someone (audience or cast, doesn’t often matter which) breaks. Like the cat in the cabinet. Whew, it was just a cat! You know the one I mean. Without bothering to compare plots, you should know that while the score for Don’t Breathe isn’t even in the same league, the sound editing is amazing; it won’t get an Oscar nod, but it might deserve one. This entry was posted in Film and tagged thriller on August 31, 2016 by Chris.